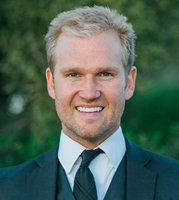 After working for years representing Buyers and Sellers of high-end investment and residential properties in Beverly Hills, Matti relocated back to the Central Coast where he was born and raised. He sensed there was a strong need for experienced, down to earth real estate agents in the area, who could close transactions in a timely, professional manner. In order to provide this service to his clients he combined his contract expertise, assertive drive and high-stakes negation skills with one of the most powerful brokerage firms in real estate; Keller Williams. When asked what he thought was important in selecting a real estate agent Matti said, “the agent must keep the contracts and deadlines tight, anticipate and plan for potential problems, and use their relationships to secure the most favorable financing possible, all while providing a pleasant assertive closing experience”. Matti welcomes your business, questions, recommendations and friendship. Allow him to candidly advise, and assertively guide you through the process of buying or selling your home and investment properties. You will have established a lifelong professional relationship that will serve you and your families for generations to come. Hi Matti, I just came across your profile on memberagents.com. I'm interested in purchasing a home in your area and would like to talk to you about possibly helping me find a nice home to purchase. Please let me know if you're available to help out. Thanks!